Lowe's is under pressure after pulling ads from the TLC show. Home improvement giant Lowe's has pulled advertising from a TLC reality TV show about Muslim families in the U.S.
"All-American Muslim," a show that follows five Muslim families in a Detroit suburb, was first blasted by the Christian group Florida Family Association. That group called the show "propaganda that hides the Islamic agenda's clear and present danger to American liberties and traditional values." According to The Associated Press, the group sent a deluge of angry emails to Lowe's, prompting the chain to pull its ads. 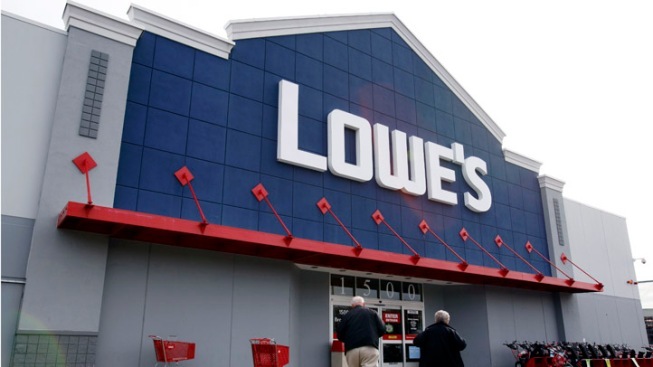 Now several groups are targeting Lowe's for a boycott, demanding the company apologize to Muslims and reinstate its ads, according to the Los Angeles Times. A member of one of the families featured on the show called critics "bigots." "I am saddened that any place of business would succumb to bigots and people trying to perpetuate their negative views on an entire community," said Suehaila Amen, a 32-year-old community activist. "This can happen to any member of a minority group. This country was not founded on hatred or racism. It was founded on inclusion and diversity." Lowe's apologized for "making some people unhappy," but has not reinstated its advertising. "It appears that we managed to step into a hotly contested debate with strong views from virtually every angle and perspective -- social, political and otherwise -- and we've managed to make some people very unhappy. We are sincerely sorry. We have a strong commitment to diversity and inclusion, across our workforce and our customers, and we're proud of that longstanding commitment." The statement, on Lowe's Facebook page, continued: "Lowe's has received a significant amount of communication on this program, from every perspective possible. Individuals and groups have strong political and societal views on this topic, and this program became a lighting rod for many of those views. "As a result we did pull our advertising on this program. We believe it is best to respectfully defer to communities, individuals and groups to discuss and consider such issues of importance." The show airs Sundays on TLC at 10 p.m. ET.